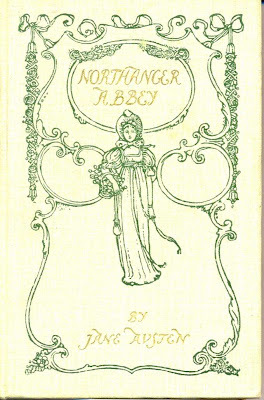 I know that, along with Mansfield Park, it is probably the least appreciated of Jane Austen's novels, but Northanger Abbey is so charming and funny that I love it. It seems that whichever Austen novel I am reading is my favourite. As much as I aspire to Elizabeth Bennet's quick wit and vivaciousness, and Elinor Dashwood's steady, practical stoicism, I have to admit that Catherine Morland is probably the Austen heroine I most resemble. Or, did resemble when I was a teenager. Jane Austen perfectly captures the wide-eyed wonder of a girl of seventeen who has lived her life in the comfortable confines of an intimate village, and is now introduced to the fast-paced life in society. On one level, the story is a few months in the life of Catherine Morland, the fourth of ten children of a country clergyman and his wife, and the eldest daughter of the family, who is invited to Bath by a neighbouring, childless couple, the Allens. In Bath she is exposed to more fashionable society than has been usual for her. 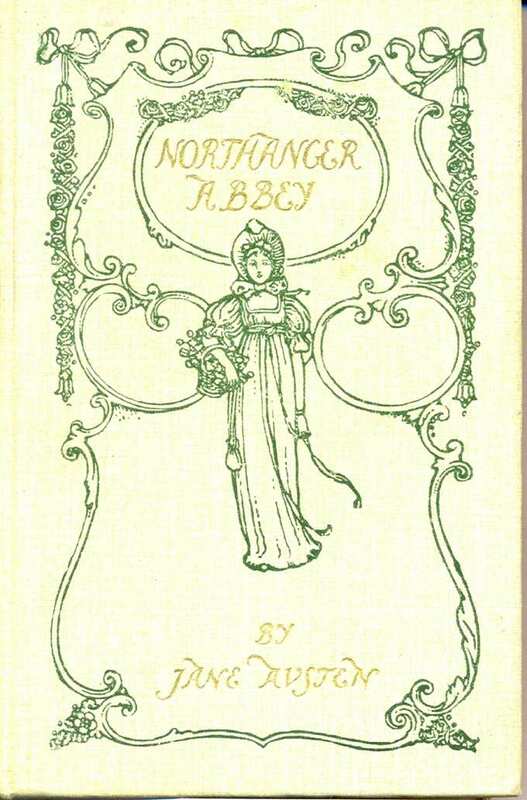 There she meets a young man and his sister who, along with their father invite Catherine to spend time with them at their home, Northanger Abbey. But on another level, this is an exploration of novel reading. 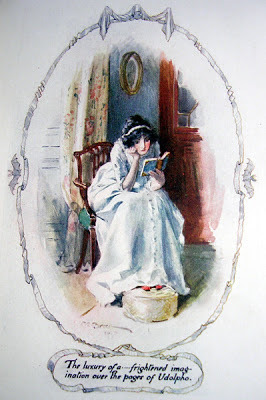 Several of the main characters in Northanger Abbey, including Catherine, are fascinated by the thrilling novels of the period, especially those by Ann Radcliffe such as The Mysteries of Udolpho. Jane Austen defends the reading of novels and asserts that in them you will find that "the greatest powers of the mind are displayed, in which the most thorough knowledge of human nature, the happiest delineation of its varieties, the liveliest effusions of wit and humour are conveyed to the world in the best chosen language." Yet, while defending novel-reading as a means of understanding human nature, she presents us with a heroine who appears not to have absorbed any of the lessons therein. For Catherine is blind in her naïveté to the foibles and faults of others. She continues to interpret the behaviour of everyone else through the lens of her own good nature, attributing to their bad behaviour invented redeeming justifications. And now I feel that I really must read some Ann Radcliffe and Horace Walpole! I will say that of the Austen I've read, Northanger Abbey has been my least favourite but it's still an important part of her work. I think this is only my second reading of NA - and the first was a very long time ago! I was surprised by how much more I enjoyed it this time around. In many ways it feels more like two related novellas than a novel. Mysteries of Udolpho is great fun! I haven't tried Walpole yet. NA is one of my favourite Austens, along with Persuasion, P&P, and Emma. I also love Mansfield Park, just not quite as much, and S&S is my least favourite (although that's relative! I still like it a lot, just not as much as the others). Yes, with Jane Austen it seems to be relative amounts of "like" rather than any "dislike," for there is so much to admire in each of her books! And she is so eminently re-readable that there are always new ways to appreciate.